On smartphones, it amazes me how many applications there are for keeping track of to do lists. Yet I know from writing apps, there are many ways to track tasks. Each person does it differently. No one app will meet everyone’s requirements or do it in the way people want. Task management is an amazingly personal activity. I realized this week how disappointing my current method of tracking to do items is, so I looked around at to do apps. I looked again at apps which I had looked at a couple years ago. Change in this area had been phenomenal. Apps like Wunderlist, Any.Do, ToDoist and others are serious and beautifully designed apps. Most are free. However, most offer premium level of service costing from $26 to $50 a year. That is serious money in the app world where most apps are under $5 to buy. To Do apps annual price is entirely worth it, considering how costly an opportunity you might miss from mistracking a to do item can be. Late payment on one bill, or lost commission from a sale not made because you forgot to meet a client’s need, dwarfs that $26. The apps let you create a task, and often subtasks. You can assign them to a folder, or a project. A due date can be set, and reminder date and times as well. Some apps let you share, or delegate the task to someone else. For example, a husband and wife can use the same app, and delegate tasks among themselves. Hmm, that might be dangerous. One thing clever in some of the apps, is the gamification of the to do list process. You receive points, or karma, for completing a task. It makes getting things done, fun. Most of the apps, not all, have a web based version as well as a smartphone app. That makes it easy to enter in tasks in a planning session on your PC and mark them complete on your phone. I had tried to do task management in Evernote, one of my favorite apps. Evernote is wonderful for keeping track of notes. I currently have almost 20,000 notes in Evernote. Evernote was too big, and slow, for good task management. You want something more nimble and clean. Evernote could not be that, since it did so much more than management tasks. When that didn’t work out, I tried Keep. Keep is Google’s lightweight Evernote type app. The nice thing about it, is that reminders on a Keep note appeared in my Android phone’s Google Now display. I had high hopes for Google better coordinating Keep with Google Now, and the way you can tell Google Now verbally to remind you of things to do. Unfortunately, those items exist only in Now, and do not end up in Keep. I got tired of Keep and Now sort of working together, but not completely. Hopefully Google will get their act together and come up with a single vision for Keep and Now. As I said, To Do apps are very personal, so what works for me may not be the best for you. Search for “To Do” or “tasks” in your app store to find one good for you. Be sure it also has a web based, or PC app, too, if that is important for you. So for now, I use one of the to do list apps I named above, for managing tasks. I use Evernote as my file cabinet. It has notes I probably won’t need again, but might, like receipts, warranties, notes on car repair, or notes on doctor visits, etc. I use Keep for those notes which I do need frequently. Things like lists of books to read, and phone numbers I need only for a short time, and do not want cluttering my contact list. All in all, it is amazing how much organization I can have in my pocket, and have it automatically synced to applications in the web browser on my PC. Mark Stout lives in Lake Ridge. He started in the personal computer business in 1980, and is a blogger and author. 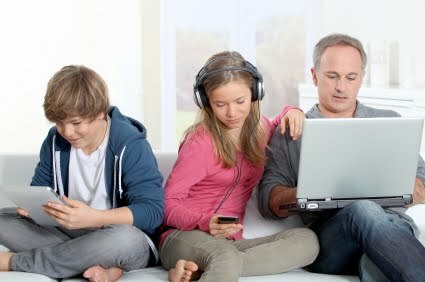 For links mentioned in the column, go to http://www.familytechonline.com. For more of Mark’s online activities and how to contact him, see markstout.info.